A young girl named Chao investigates a meteor that lands near her home. From it hatches a monkey who she names Goku. But it turns out Goku is guilty of crimes against the heavens, and he is imprisoned. When his memories come back, he agrees to work with the gods to stop his old accomplice Gyumao the demon. 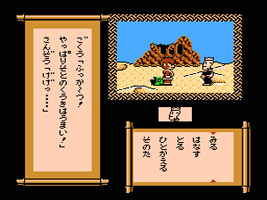 Accompanied by Sanzo the unkempt priest, Hakkai the greedy pig and Gojo the lazy kappa, the four must travel west across many strange lands in search of a way to stop Gyumao's plans. Meanwhile, Chao travels across the land in search of her new friend. Yuuyuuki was released on two disks, sold separately. A two-part English walkthrough for Yuuyuuki, including instructions, directions, information on action scenes and main plot points. Mr. Ittai, the narrator from Shin Onigashima appears at the beginning of the game to introduce Chao, and acts as the narrator throughout the story. Unlike in Shin Onigashima, he does not appear as a character in the main story. When Goku is searching for Chao in chapter 8, you can eventually switch to her, where she is locked in a prison with Kintaro from Shin Onigashima. 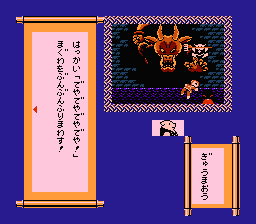 At first Kintaro appears alone, but if you speak to him then Donbe also appears. Try the bars and the Tengu appears as well. During this sequence, a music track entitled "Donbe" in the official soundtrack plays, which is the "Inside the Fortress" theme from Shin Onigashima (where Hikari first met the Tengu). 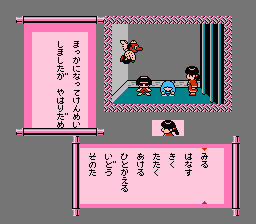 The characters appear throughout the rest of chapter 8 and Kintaro also appears at the beginning of chapter 9.